There are often 5 key things that can affect performance and cause Shopify site owners to lose sleep. We’ll talk you through what you need to do to starting taking control of your business and to get a better night’s sleep… So here are the 5 top reasons Shopify sellers fail. Unless you want to be one of a hundred thousand ‘me too’ stores selling the same thing you need think more strategically. Does the market you’re selling into experience any pain, urgency or serve a ‘must have’ irrational drive to own or be part of something? Lack of prep here is right up with the top reasons Shopify sellers fail – not putting the effort into being useful and different from the crowd. For example think about gardeners that need to water their plants when they’re away or the pain of returning to find dead plants and the cost of replacing them. A blown light bulb means pretty much an immediate need for a replacement (or a neat storage system for them for the future), or a love of kooky pebble art could mean lots of repeat business. 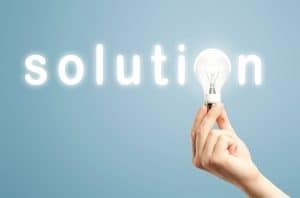 Find out if the prospects for the products you’re selling are already searching for a solution. The best place to do this for free is Google Trends. You can run up to 4 different search queries and see their popularity over time which is great to understand seasonality. If you’re already using Google Ads (aka Adwords) you can use the Google Keyword Tool, or browse categories on eBay or Amazon. If you’re serious about fixing the reasons Shopify sellers fail, do some Google searches to see what the competition is and if there are many alternative options for prospective customers. Think about making more out of each customer interaction or transaction. Can you sell more to existing customers because the thing they’re buying is a) a consumable item or b) something that forms part of an ecosystem. If so, have a strategy to contact them when the item is due to be replaced or provide easy options to add the extra parts of the product suite during shopping or checkout. We’ve already talked about customers in pain, having an immediate need or are hooked on owning or being part of something…. So when you think about these criteria who is your ideal prospect? Once you have the answer to this you know who your ideal customers are and can start making your ecommerce plan come to life. Don’t skip this bit. Again it’s pretty much one of the most important reasons Shopify sellers fail – wasting money on targeting the wrong people. Now you know the problems your audience faces – what are the solutions, and how can you solve their problem better, quicker, or for less cost to them than their perceived alternatives? Match this mindset to your existing products… For our gardeners the products are water timers. How can we better solve this problem? With options based on a water supply or without, easy to use systems that are scalable (cross-sell!) to fit different sized greenhouses and situations, plus water filters and plant feed systems (up-sell!). Also produce high quality imagery showing in-use applications for more purchase desire as well as fast delivery for that urgent requirement before holiday next week. So now you know the audience that you’re selling to. But, before you start contacting them have a long hard think about what you’re going to say. 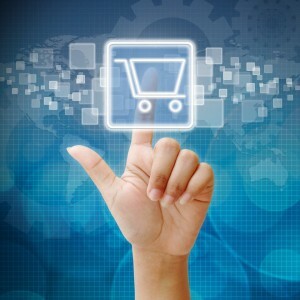 This is where the real meat is in your ecommerce plan…. What can you do to make your ideal prospects feel compelled to buy from you? What can you do to make it easy for a visitor to become a buyer? 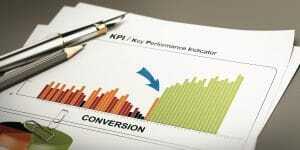 What touch points does a visitor and buyer have with your store that you can optimise? How will you extend the lifetime value per buyer? How will you get the buyer to tell other ideal visitors about your store? 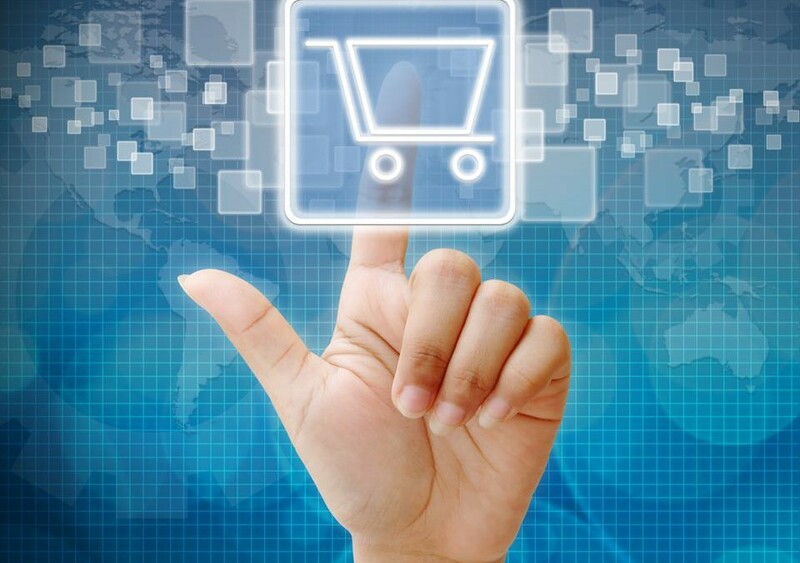 The last step is about the tactics to achieve your ecommerce plan. Email marketing to get more sales from new and existing customers. You need to do more than a simple “promotions email” to be effective though. Store redesign is potentially one of the biggest areas new site owners fail on. 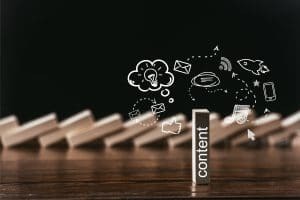 Poor planning around site structure and content can really affect the conversion rate of your store preventing you from turning more visitors into buyers. Ok so you’ve heard of Content and SEO and they’re one and the same right? Wrong. They’re also a key plank in converting those hard won visitors into buying customers, needless to say lack of investment here is also one of the main reasons Shopify sellers fail to drive revenue and profit. 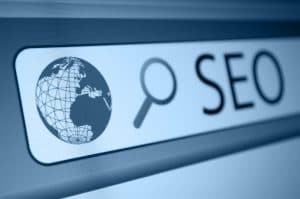 SEO, or search engine optimisation, is the practice of tuning your website to perform well in Google’s organic search results, and includes elements like using the language your ideal prospects use, great content and site structure as well as user friendly functional elements like expanding menus, breadcrumbs and filters – again all using the language descriptors that your ideal prospects use. If you have good quality, unique and useful content you’ll also achieve the hardest part of SEO – backlinks (precisely ‘Dofollow’ backlinks). These tell Google how valuable and relevant people find your content and this is a major influence in raising your ranking on organic search results – and aside from the hard work in getting your content and site structure right, it’s free. Start with the product pages. Group them all under relevant headings and if needed add higher level headings to group the lower grouped content until you’re left with only 5 or 6 main headings. Do the same for the other content sections. You should now have a clear logical structure for your top level navigation that’s easy to navigate and is using the terms your ideal prospects would use if they were searching in Google. If you get stuck, look at your competitors and check how they rank for these products in Google. Don’t worry if some products fit in multiple headings, that’s normal and will only help your visitors. Remember: If it helps your customers it’s good for Google. Things to avoid, and another one of the reasons Shopify sellers fail to drive sales: Be careful using brand names as part of your main navigation headings as your structure will become horrendously bloated by the various brands you end up selling, plus there’s minimal utility for visitors if the thing they’re looking for is gym leggings and they have to go looking into each brand silo to see comparisons. Better to to allow visitors to filter by brand when they get to the right page “gym wear > gym leggings” and if necessary as a separate main navigation tab “brands”. But only if you really have the room. We talked about creating high quality uniques content (not a copy of the manufacturers description!) that will encourage visitors to become buyers. This is where your product description generates the solution to the prospects needs. Tell a story if you have to where the prospect is the main character or can see themselves using/wearing the product and how it fulfils their desire, soothes their pain or fixes their urgent need. You also need to optimise the page titles and create engaging product page meta descriptions (also called ‘snippets’) that will appear as the text in the Google search result. Think of these as your opportunity to present your page in it’s best light – so make it shine. Homepage design is where many people get it wrong and more importantly fail their prospective buyers. It should reflect the structure of your site, not be a hotchpotch of random products in focus. Take a look at our homepage design blog for more info. Blog content is also very good at providing the sort of information that product pages aren’t suitable for e.g. people that aren’t ready to buy now, but are researching their options. If you can write useful blog content that helps this segment of your user base you’re likely to be front of mind when they do convert to buyers. In our gardening example this could be a blog about the best type of watering system for different greenhouses with or without connected services (water/electricity), or the best time to carry out certain maintenance or seasonal preparations. Don’t forget to use a keyword research tool to like Google Trends, Google Ads, Serp Robot or Soovle to help you figure out what words to include in your blog copy. But make sure you focus on the reader not Google. Blogs are about being helpful and not about trying to trick search engines into ranking them highly. Search engine optimisation is a very big topic and it takes years to learn it well, however there are basic steps that will cover off the main issues and reasons Shopify sellers fail and most sites suffer from. 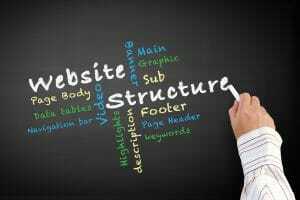 As we’ve highlighted you need a logical and sensible structure that your site is built around. This should be using the keywords or phrases that your ideal prospects are using when searching. Use mega-menus (menus that expand when you hover over them) and site search, which should be prominently displayed in the middle of the ‘masthead’ – the bit that stays unchanged at the top of the page no matter where you are on the site. You should also include a breadcrumb trail as eye tracking studies have shown that shoppers look for breadcrumbs 30% of the time. If you’re using a free Shopify theme then look at the ‘Shopify Add Breadcrumb Navigation‘ tutorial – you may be able to get Shopify’s Support Team to help you. Pages need to have good quality titles (Headers) and descriptions which need to be unique and helpful. Description text needs to be a minimum of 200 words, but don’t forget your imagery… Each image has an area to add descriptive text, called Alt Text. You need to add relevant descriptions here about the image – again using the researched words your buyers are using. Google can’t ‘see’ the images so needs you to tell it what that image is about and whether it adds to the relevance of the page or not – so use this option. Internal and external links can help Google to get a feel for context about the page and it’s content too. These links will help place the product page in the overall scheme of things and help it to understand more about the page’s relevance. Make sure that any external links open in a new window though as you don’t want to lose the visitor without retaining your presence in their browser. Lastly if you’re serious about ecommerce you need to make sure you have an SSL certificate to enable https secure browsing. Many website browsers now highlight the unsecure nature of websites that don’t have https and this can also affect the conversion rates you get from PPC ads as well as seriously affect your SEO ranking – https is now a major ranking factor for websites. Steer well clear of fly-by-night SEO companies promising you immediate page one rankings. These often use dodgy tactics and generate low quality links that can have a major negative impact on your site ranking and could cause you long term problems in getting them removed. Number 4 in our list of classic reasons Shopify sellers fail is Conversion Rate Optimisation (CRO). This section is all about improving the experience your visitors have that creates the right atmosphere for them to convert into buyers. You’ve worked hard to get your ideal prospects to your Shopify site, don’t waste all of that effort by not creating the right environment for them to find what they’re looking for and be enticed to purchase. My top tips for improving site conversion begins with your product pages, as this is the most likely type of landing page for people visiting your site (only about 30% of your site visitors are likely to see your homepage). Make sure you have high quality, detailed imagery with various angles and if possible the product being used, as well as some shots that give scale i.e. depicting how big the product is. These should be zoomable to decent sizes that fill the available screen, after all if you’re selling a product that costs a lot you’d want to be comfortable you know what you’re getting. 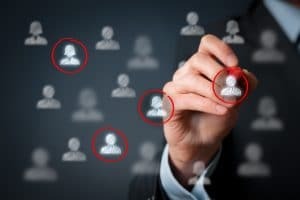 As we mentioned earlier in the previous section, you need a detailed and unique product description that tells a story and captivates the reader into deciding to buy – don’t copy & paste the manufacturers’ product copy, loads of other sites do that and it’s the quickest way to become an also-ran. Remember what we said in section 1? The product needs to be a solution. This is where you make the magic happen! We want benefits here, not product features. The second area is the site structure. If you haven’t reviewed this already for user-friendliness, now’s the time to do it. You need breadcrumbs, filters, mega-menus (that expand when you hover over them), site search – and make sure it’s high quality in terms of search results, picking up mis-spellings and plurals as well as intelligent part word or phrase recognition and search term suggestions – logical navigation headings and sub headings etc. Third, use clear buttons and calls to action labels. You don’t necessarily have to follow rigid brand guidelines in terms of colour here – it’s the results that matter not about staying to a limited, poor performing marketing palette. For example if you use the same colour as your site for all buttons, they’re liable to blend in to the background and not be noticed – visitors scan content, they don’t read it unless it’s something they’re looking for. Try different colours and text (but make sure there’s enough contrast between the colours) to see if these can have an impact, but don’t go off the reservation here. Stick to more conventional button labels like “Add to Cart”, “Add to Basket” etc. Also don’t overwhelm your visitors with too many calls to action or similarly designed buttons as you’ll just confuse them. This is especially important in the checkout funnel. The fourth area is delivery and delivery pricing. Make sure you clearly identify the delivery price on your product page, and how quickly they can get the order e.g. “Order before 3pm to get next day delivery for £4.95”. Lack of clear delivery pricing is the main reason for shopping cart abandonment – you have been warned! You may want to experiment with free delivery. Think hard about this and whether it’s free for every purchase or only above a minimum order value. ‘Free completely’ is likely to encourage multiple smaller value purchases which will erode your margins. The Minimum Order Value concept means you only get free delivery if you purchase more than e.g. £50. This has a significant impact in driving up average order values – make sure you work out what extra sales you need to break even on free delivery though and analyse performance for this regularly. My Fifth tip is to also have a separate Delivery page that also includes details about your returns policy. Note: if your customers are classed as retail (i.e. B2C) and they are in the EU/UK they will have additional rights that are non-negotiable. Make sure you’re aware of these and be upfront about them. Some sites go above and beyond what the law requires and allow free returns for any reason. Think about whether you want to match this or if not have a good reason (like being eco-friendly to reduce waste cause by repackaging and restocking etc). Sixth is to recover abandoned shopping carts. To do this you really need to know the visitor’s email address so look for ways to capture this as early on in the shopping experience or checkout process as possible. This could be through ‘add to wish list’ functions, ‘save my measurements’ or ‘back in stock’ alerts that need email registration. Once you have this it can be easy to set up an abandoned cart recovery tool. There are lots of options within Shopify for this – check out the reviews and functionality to pick the best for you – beware though, the cheapest isn’t necessarily the best. The seventh thing to consider is whether or not you offer a Guest Checkout. There are pros and cons here. The pros are that you’re likely to get more immediate sales, as people often don’t like the extra (but minimal) fields they have to complete. Others fear the inevitable spam or loss of security that sometimes happens with data breaches. Overall it’s probably more about hassle and not thinking they’ll visit again that stops registration. The downside is that you have no contact info with which to follow up, or permissions to start marketing to them or ask for customer reviews after they’ve left the site. It’s also harder to link products to email addresses for customer service issues or provide order tracking info. Try using a delayed registration on say the ‘Thank You’ page – all you need from them is a password to complete registration, you have everything else. Alternatively try offering Social Login, where the customer can use their existing Google, Facebook, Twitter, Amazon login to complete their checkout process. My last tip is to try tracking with a session replay tool like Hotjar (or contact me and I can provide a Hotjar setup cheaper) and make sure your using ecommerce of advanced ecommerce tracking via Google Analytics. If in doubt get in touch and I can help. If your site has enough traffic and there is clear evidence in the data that there is a conversion rate problem, start experimenting with alternative approaches. This may be an area where you need to call in the experts though as it’s not really a side of desk job. Be very very focused on the experience your mobile visitors are getting as you’ll be surprised what percentage are mobile. Classic issues affecting mobile responsive design are buttons not appearing above the fold (the viewable area), tablet designs using the dreaded ‘hamburger menus’, single page-width images for category page sub-sections (where 2 side by side reduces the length of pages) or inclusion of desktop oriented banners or media that aren’t suitable for mobile. Right, so everything is tee’d up ready to go… You now know 4 of the 5 top reasons Shopify sellers fail. So where are the customers? Sure if you’re going to get some customers via search but you need to think about kickstarting the traffic flow. Google Ads is a great place to start and kick off with some instant traffic, and if you’ve followed all of the tips I gave above you should be optimised to benefit from fair priced cost per click keywords (Google will charge you more for a click if your landing pages aren’t optimised for the keywords in question). However to do Google Ads justice you really need to outsource it to a professional who can create excellent optimised campaigns based around your keywords and landing pages as well as set up retargeting that will be more effective. If they’re good they’ll help you think about targeting specific visitor segments with discount offers to abandoners, through to up-sell or cross-sell for related product purchases. Facebook and Instagram Ads. Again it’s best to outsource this as it can take a lot of time to master. The best of the bunch is Facebook (so far) as it allow you to tune and define your audience based on what you’re selling, the ads you’re using or the list of your existing customers which you can use as a ‘look like’ sample for Facebook to use. This is called ‘custom audience’ and I’d recommend you get professional help but it’s very effective. You now have our 5 top reasons Shopify sellers fail. These are a super-sharp set of tools to make your Shopify site much more effective. Get working as soon as possible on these tips and you’ll see the benefits. CRO or SEO? How can I make my website work harder for me?